We offer effective, targeted, and affordable internet marketing for Canadian resorts, Inns, lodges and cottage resorts. We offer many years of combined experience in Tourism and Technology. As Owners of the Beauview Cottage Resort since 1993, we found that of all the marketing methods we tried to promote our cottage resort, the Best Value for money was through the internet. We have had many inquiries and bookings through our web pages from all over the world. There's no other way we could have reached as many potential clients with so little expense. We found that the more places you are listed the more chance of being found. As complimentary websites, in 2000, we launched www.Golf-Ontario.com and 2001 for all of Canada www.BobtheTourist.com in 2004 www.Travel-Canada.net and in 2009 www.accu-window-weather.com . In June 2013, a new content rich website for Ontario Travellers www.Ontario-Tourist.com was launched. He is on the Board of Directors for Resorts of Ontario and a member of the Marketing Committee. 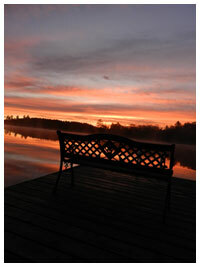 He is a past director of Muskoka Tourism and the Huntsville Lake of Bays Chamber of Commerce. He has led a seminars at conferences on Social Media. He has spoken in the past at Muskoka Small Business week conferences about Internet Marketing. Gord has done a number of on site consultations with Ontario tourism businesses regarding internet marketing and social media. We have mentored a number of new tourism businesses in the Muskoka Area through contact with the Muskoka Community Futures or Chamber of Commerce organizations.